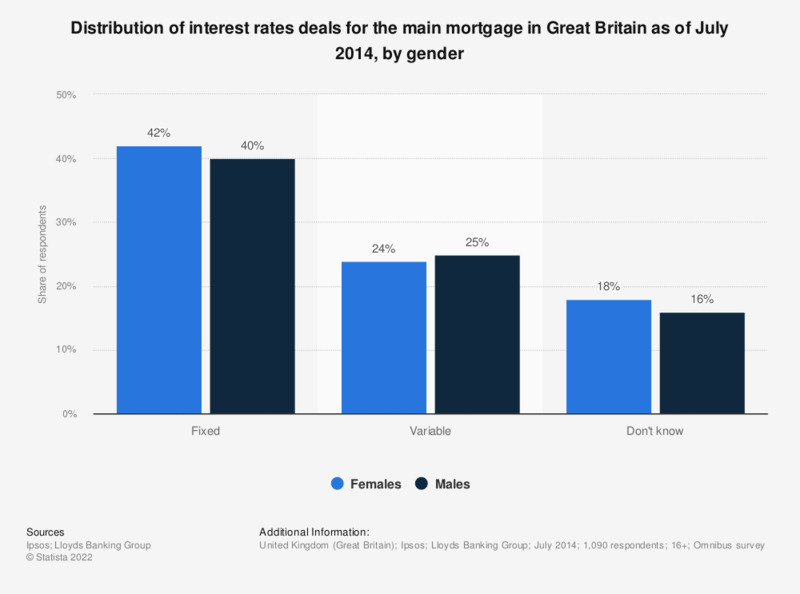 This statistic shows the types of interest rate deals, chosen by the male and female mortgage holders in Great Britain, as of July 2014. Approximately 42 percent of female respondents and 40 percent of male respondents reported paying a fixed-rate mortgage. Data has been weighted to the known national profile of mortgage holders according to gender, age, working status, region and ethnicity.